I don't JL but I expect, unless she were a much better human being than most, possibly thinks: Hooray! All the copies of my book have been sold, and it will probably be reprinted, so I'll probably be able to have another book published, and I can stash the cash. I'm sure Tesco should have left some of the books for independents. That kinda goes without saying - fair play etc. Although it's possible the buyer at Tesco didn't think about that. Anyway, I probably don't sound very sympathetic but I am, really, and the irony is crushing; I'm also just not very surprised. 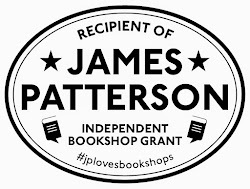 Thanks James - from her point of view, she'll be delighted, and modern supply chains being what they are, no-one can choose to leave books for independents. I'm not looking for sympathy, just appreciation of the irony, so thanks! Bl**dy h**l! I am sooooo sorry! It was me that told Ali it was in Tesco's.The b*******! I am soo sorry that they have done that to you. It's corporate mentality, and I'm sorry I bought it there now. Oh, major guilt trip. We don't have a decent independent bookseller near by (and it was a spur of the moment purchase, ironic considering the book.) It isn't right that that has happened, and it saddens me. I hope it all gets sorted out down your way. Good luck! I am so sorry! It was me that tiped off Ali about the book being available at Tesco's. It makes me sad that big business do this to the small guy, especially since you'd think there was room in the world for a peaceful co-existence. 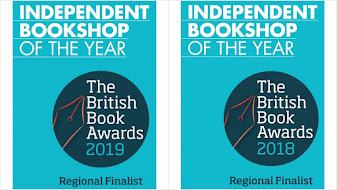 It does make me think that I should try and find a good local bookshop to support, since supermarkets get so much else from my budget. I hope the problem is sorted soon. Good luck! Judith - by 'stash the cash' I meant 'put the money safely in the bank, as per salary earned'. I feel I was making the same point you replied to me with - i.e., that (admittedly not knowing you) you would likely react to the scenario just like anyone who finds success in what they do for work/to earn money. I didn't intend to key into the laissez-faire resonance of the phrase 'stash the cash' - my fault for dashing off a colloquialism without adequate forethought. Apologies. I also understand how book returns work, but thank you for emphasising the point. Wow Mark - you've stirred things up haven't you! Someone call a national newspaper... the irony of the situation has GOT to make a cracking story. And I'm making a stand against the Tescopoly and waiting till you can get hold of an uncontaminated copy for me! "Hello, readers. Judith Levine here. If indeed there is a conspiracy brewing between Simon and Schuster and Tesco's to exclude independent booksellers from carrying Not Buying It, I am as shocked and appalled as Mark is. The book is not just the story of one couple's adventures in non-consumption; it is an argument for the local, the community, and the public good. Sure, I'm happy that Tesco's carries my book. But I am also a writer and a reader, a fervent supporter of independent bookstores...I'll get in touch with my publisher and let you all know how it turns out. Sorry for any inconvenience, and I hope you like the book. BTW, James: The way bookselling works, the books get sent to stores, and if they don't sell, they are returned to the publisher (unlike cars or shoes or anything else). The author gets nothing for returned books. Stash the cash?" Gimme a break. Just like you, we writers deserve to paid for our work. [P.S. S&S assures me that, as Mark reports, there are plenty of copies of NBI to be had by any store that wants to sell it. So please get yr copy at this store! While I have yr attention, though, let me answer the question of whether to buy a book called Not Buying It. The book doesn't tell you to stop buying altogether. It says there is no way, as people living in a civilization, capitalist or any other kind, to avoid the exchange of goods and services, for money. NBI calls for consciousness about how we spend our money -- reflecting what's good for the planet and the workers on it, what we care about supporting and what we could live without, what is necessary and what is superfluous. These are sometimes personal questions, sometimes political ones, up for debate. I hope NBI contributes to that debate.] "